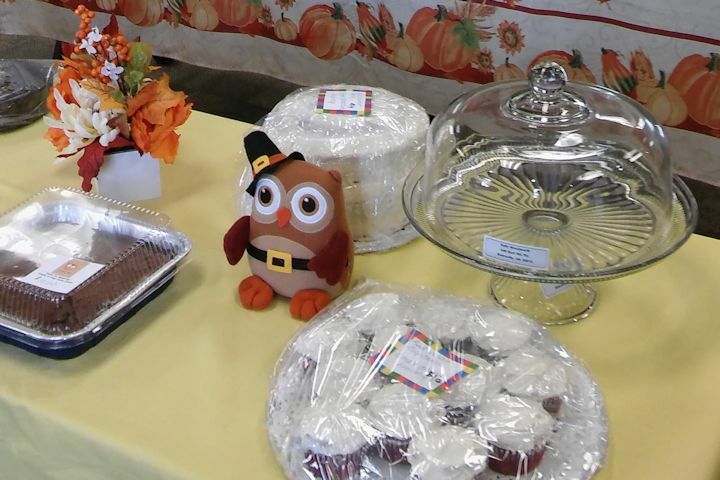 Two bakes sales are held yearly, one before Mother’s Day in May and one before Thanksgiving in November. 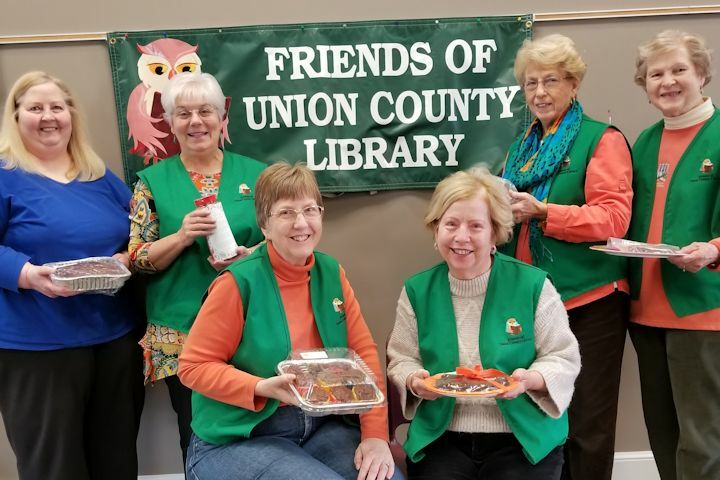 Working at the November 2, 2018 Bake Sale – from left to right: Deborah Adams, Nancy Bryant, VP Jackie Volk, President Judy Baldwin, Recording Secretary Evelyn Lamar, and Sarah Partain. 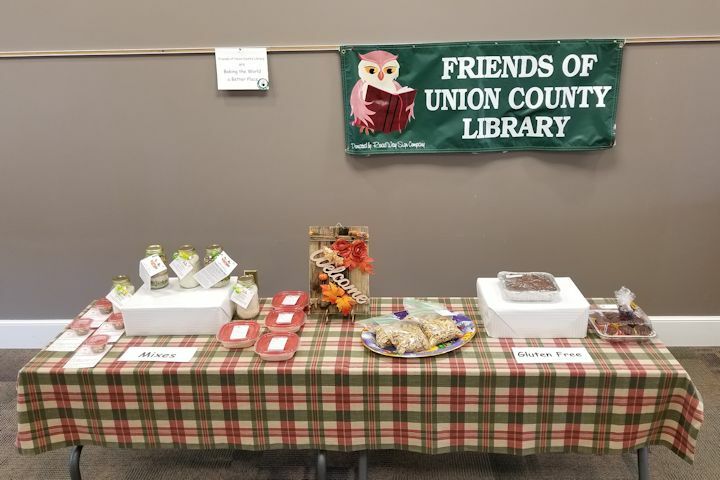 Goodies for sale at the November 2018 bake sale. 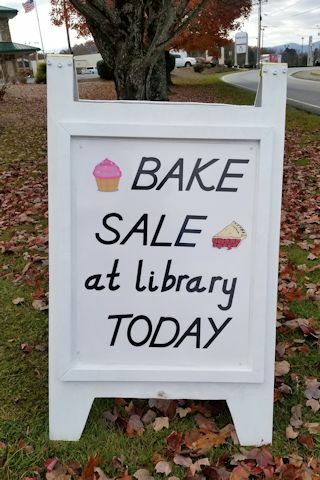 More goodies being sold at the November 2018 bake sale. Implementing our brand-new sandwich board in November of 2018, constructed and donated by Jane Manuszak’s husband, Robert (and he built a second one for us in December of 2018). 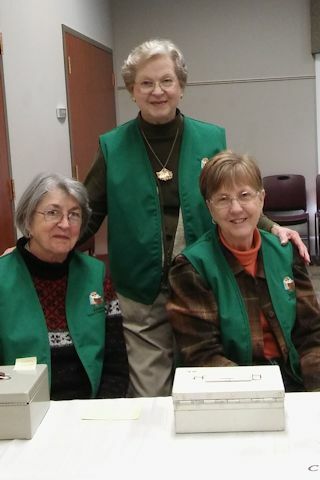 Selling at the November 2017 bake sale – left to right: Sally Woodworth, Sarah Partin, and Jackie Volk. 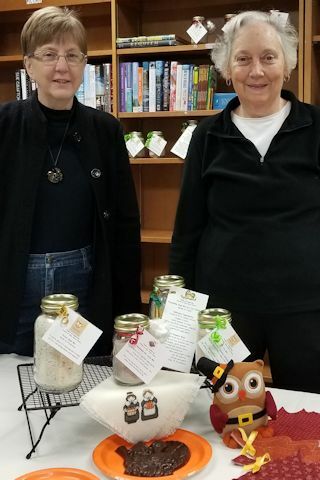 November 2017 Bake Sale Co-Chairs: Jackie Volk and Jayne Sentell.